In April of 1948, Boston University history professor Evan Sinclair receives a telegram notifying him that his father, Professor Clive Robert Sinclair, has been reported missing from his post at the Palestine Archaeological Museum. Fearing for his father's well-being, Evan and Clive's longtime friend, Mervin Smythe, travel to Palestine on the eve of the first Arab-Israeli War. Evan finds his father and far more-a lost love, a son he never knew he had, and covert elements of the Third Reich positioned in Palestine before the end of World War II. Having infiltrated both Arab and Jewish populations, the Nazis seek to use counter-intelligence and terror to stoke the fires of hatred and fear between Arabs and Jews. The goal is to drive the British from Palestine and to seize Jerusalem as the capital of a reborn Third Reich with the legendary Knights Templar treasure as plunder and the Temple Mount as their fortress. To defeat them, Evan finds that he must risk everything. 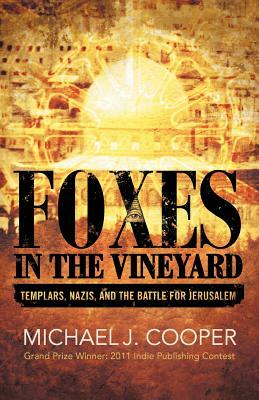 Filled with real people from the pages of history as well as fictional characters, "Foxes in the Vineyard" follows Evan as he battles not only for his ideals, but his life.